Why should i try dentures? Having missing teeth can affect your confidence and can also cause further damage to your oral health. Without replacing these missing teeth, the muscles and jawbone can deteriorate, causing your face to sag it can also affect your ability to speak. A complete denture replaces natural teeth. It is an appliance that allows you to enjoy all the normal things you would in life, but with a confident smile. A complete denture replaces all the missing natural teeth on either the lower or upper jaw and a partial denture can fill any gaps left from singular missing teeth. Partial dentures are fixed to the neighbouring natural teeth with metal fixings. The plate, or base, of a denture is usually made of plastic or metal. The false teeth are made from acrylic and can be made to look just like your natural teeth. Will dentures feel or look different? Dentures will be made so that they resemble your natural teeth as best as possible. In a lot of cases dentures can completely improve the appearance of a person’s smile. New dentures are likely to feel uncomfortable at first, but you will quickly become used to them. In some cases the denture may feel loose as your muscles adapt to keeping them in place. If problems continue after a few weeks then you should visit your dentist. Will they affect my ability to eat or speak? At first these activities might be difficult, but you will swiftly be able to adapt. You might have to start with smaller, softer foodstuffs and ease into harder food as you go along. Eating food slowly on both sides of your mouth will help the denture to remain secure. After a short period you will be able to return to your normal diet. Pronouncing words may also be difficult at first; however, after some practice, you will be able to adapt to your denture. If it comes loose during eating or coughing, you can bite down to reposition it. If a loose denture persists then you should visit your dentist. What about my sense of taste? There is not really any difference. Initially the dentures may interfere with your taste buds and your ability to sense hot or cold food. However, these problems do not last very long, if at all, and you will be able to enjoy your normal diet. How long will i need to wear dentures for? Initially it is advised that you wear your dentures all day long, even at night. This will help you, and your mouth muscles, to adapt to the shape and fit of the appliance. After this initial period you will be able to take them out at night, which will allow for your gums to rest and relax. Do dentures need any kind of special care? It is recommended that dentures are given as much care as natural teeth, including all the methods and techniques that you would normally employ. This is extremely important for those with partial dentures, as it will prevent gum disease and decay in the rest of the natural teeth. When cleaning your dentures it is advised that it is done over a folded towel or a sink full of water, as they are delicate and may break if they are dropped. When they are not being worn they should be kept in a special container filled with water to cover them. Specially made denture brushes and toothpastes are available, but soft-bristle brushes work just as well. I’ve heard of conventional and immediate dentures. what’s the difference? Conventional dentures are inserted once teeth have been removed and the gum is allowed to heal. This healing process can take several months. Immediate dentures are inserted straight after the tooth has been removed. This is achieved by your dentist taking impression moulds and measurements of your teeth during an initial assessment. Immediate dentures eliminate the need for a patient to go without teeth during the healing period; however, immediate dentures don’t allow for when bones and gums shrink after the removal of teeth, which may mean that they need to be relined or replaced in the future. Will i ever need to replace my dentures? Wear and tear or a change of shape in your mouth may require that your dentures be re-made or adjusted. Bone and gums can shrink, which will cause the denture to become loose which will then cause discomfort or even infection. Poorly fitting dentures need to be addressed quickly to avoid any of these issues. How often will i need check-ups with my dentist? Usually, those wearing dentures will not need to visit their dentists any more than before. The recommendation for check-ups is once every six months. 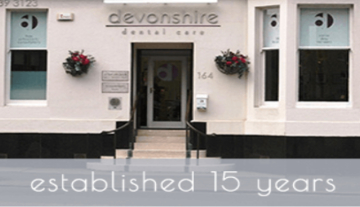 However, your Scotland denture dentist may suggest visiting more frequently to ensure that your dentures and mouth remain healthy and that you maintain a confident smile.